Logan Fitzgerald was recently crowned the Fairgrieve Elementary School spelling bee champion and will move on to a written test Jan. 12 in Syracuse. 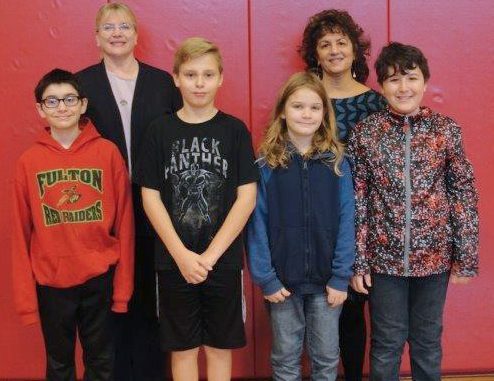 The sixth grader will join peers Kiernan Percival, (fifth grade), Benjamin Renfrew, (fifth grade) and Matthew Clark, (sixth grade), who earned second, third and fourth places, respectively, in the friendly school competition. Patti DeGelorm, Fairgrieve spelling bee coordinator, said all spelling bee participants studied sets of words, but after mush practice and diligence, the four students spelled the most words correctly.